My daughter is going on her 9th year at Encore! We couldn't ask for a better studio or staff. They have taught her so much over the years and turned her into an Amazing Dancer! The staff goes above and beyond in their teaching and caring ability for each student. I would highly recommend Encore to anyone looking for a great place to grow in the art of dance! 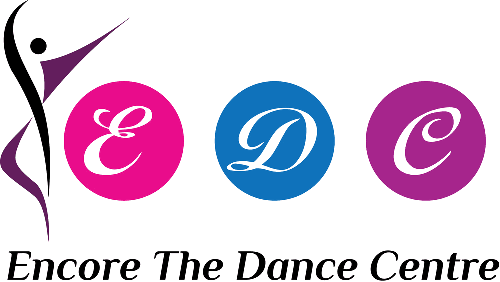 Encore is a truly fabulous dance studio with a spectacular teaching staff, who teaches the true love of dance. This allows each child to express themselves and show their love of dance while having fun. I would highly recommend Encore to anyone!! As the mom of three girls all involved in dance, I find the Encore experience to be the best. Everyone there is friendly and helpful, the level of teaching is superb and Miss Sherri is wonderful. Each year at recital my family is impresses with the professionalism and quality of dance. My girls and I look forward to many more years of dancing at Encore. Encore the Dance Centre was recommended to me about 6 years ago for its safety with its students and fair pricing. Since then, it has become so much more! Not only is the studio dedicated to the safety and dance training of its students, it promotes relationships and team building. My daughter has developed friendships encouraged through Encore that are amazing. Families and staff support and help each other through rides, costumes, fund raisers, etc. It was the best choice I could have made for my daughter. Encore is a family! Our daughters have attended Encore for 11 years so far. The teachers are wonderful and we have enjoyed watching the girls progress through the years. The staff and other students have become an extension to our family. The benefits of dance extend to developing well-rounded individuals and to helping them focus in all that they do. I'm quite sure the dance classes have contributed to many qualities that have enabled our girls to also become outstanding students in school. We are grateful for all that Encore has taught our girls and look forward to many more years with them. Encore has been part of my daughter’s life for the past seven years. With the help of Encore’s caring and loving staff my daughter has of course learned dance, but has also learned life skills. She has been taught to keep trying, to believe in herself and has been able to build her self confidence while enjoying a fun and worthwhile activity.